Further information about DONTNOD's #LifeisStrange2 will be revealed this August. Price increase, adding Devuno (as a customer the high price is for paying off that DRM+tax+to pay off Free Captain Spirit mini-game time for the development). High hype around this game. Greed is taking over the developer who did the original Life is Stange. <-------- Indeed, Greed is taking over and it is contagious AF. Price increase, adding Devuno (as a customer the high price is for paying off that DRM+tax+to pay off Free Captain Spirit mini-game time for the development). High hype around this game. Greed is taking over the developer who did the original Life is Stange. Can't wait for it......super excited!!!!! lol all these people asking about it being free, hell nah, and it shouldn't be either lol. WILL IT BE FREE? WILL I BE ABLE TO BUY IT? WILL I BE ABLE TO PAY MY NETFLIX BILL? FIND OUT NEXT TIME ON DRAGON BALL Z! 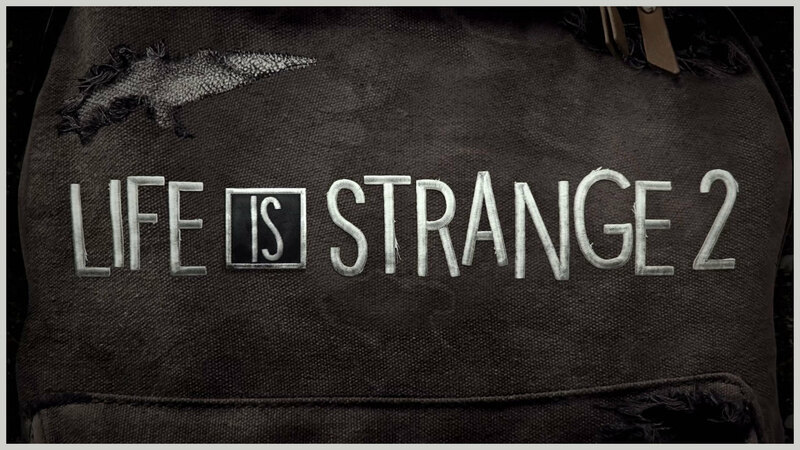 I noticed the teaser appears to be embroidery on a torn messenger bag. I feel like there should be meaning in that, but I guess we'll find out. Yes! I hope they've thought through the story this time, particularly the ending. Very excited!